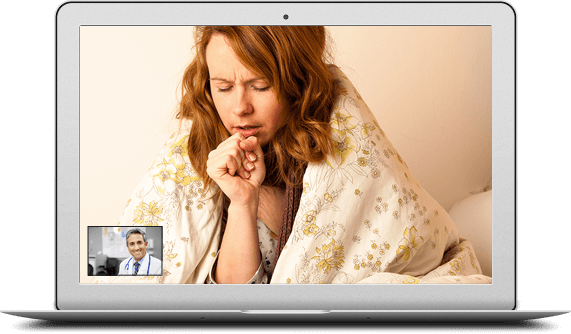 Get a faster, easier solution to your medical problems without leaving your home or office. Medical Care with NO Copays. NO Bills. We treat over 70% of acute medical conditions, safely and quickly! Why make a trip when all you need is a simple phone call? Do you work during the day? No problem. Our doctors can assist you day or night - 24 hours a day/ 7 days a week/ 365 days a year. *Video consults are not available in Texas. Only video consults are available in Idaho. Telemedicine is not available in Arkansas. Using your phone or computer, you can speak to a doctor who can evaluate, diagnose, and prescribe medication if appropriate - all from the privacy of your home or office! Though the average appointment lasts 10 minutes, there's no time limit to your visit. So, take your time and ask all the questions you want. Your doctor can evaluate, diagnose, and treat most conditions right over the phone - making sure you and your family get the care you need. 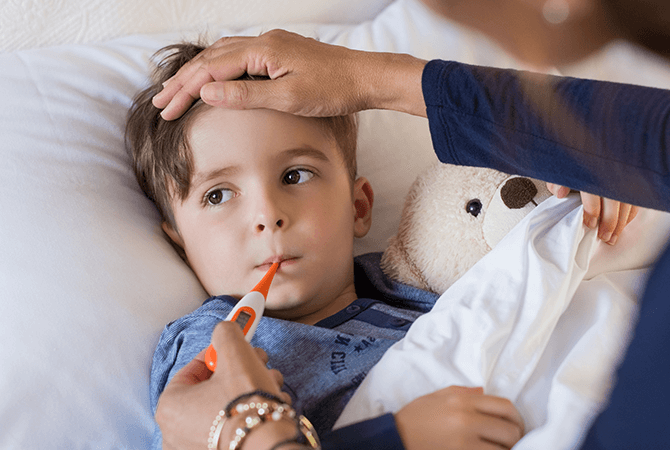 Your doctor can prescribe medications, have them sent to your local pharmacy, and can even give you a short-term refil if you run out of anything. How's that for convenient? 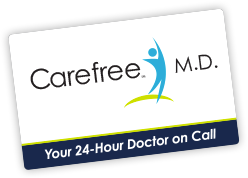 With Carefree M.D., you and your entire household can voice or video* chat with a doctor day or night - and there's no limit on how often you can call. No more long waits or taking time off work. 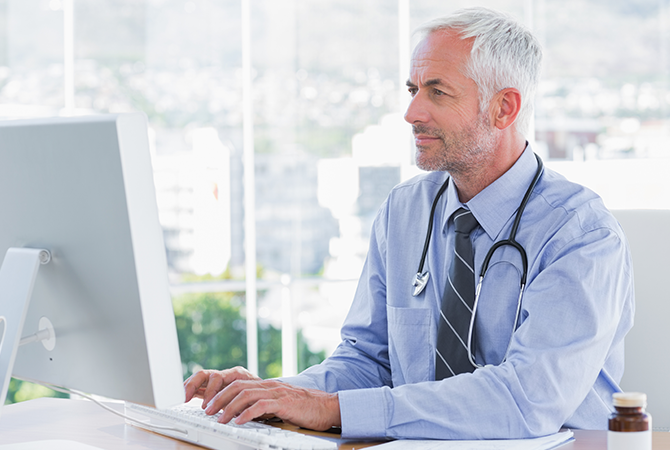 You can log into your account and visit with a doctor anytime that's convenient for you. Avoid costly office visits or non-emergency ER visits. With Carefree M.D., there are no bills or copays. Traveling for work? On vacation? Difficult to schedule an in-person visit? Now you can get access to top-notch healthcare no matter where you are!